Deda's Parabolica Due clip-on bars are an excellent solution if you want to add an aero position to your bike for whatever reason. They're well made, light and reasonably cheap. The Parabolica due bars have three main pieces. There's the extension itself, a hollow alloy tube with an S-bend that has a maximum extension from the bars of 290mm and is designed to work with bar-end shifters, if you're going full TT. 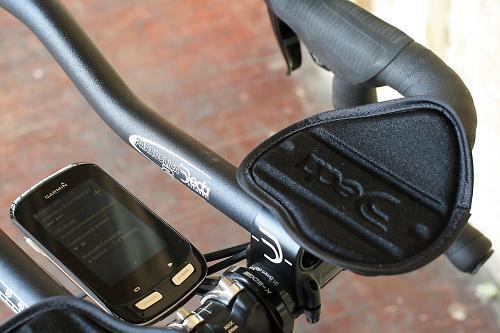 The extension is attached to your cockpit via an alloy clamp, which is nicely made with smooth edges that should be kind to carbon bars. A steel armrest bolts on to that, and there's a grid of holes for you to fine-tune your arm position. You also get a self-adhesive velcro strip for each side to attach the arm pad. The pads themselves are fairly deep and very comfortable. I primarily used the Parabolica Due bars as an extra position on an audax setup. 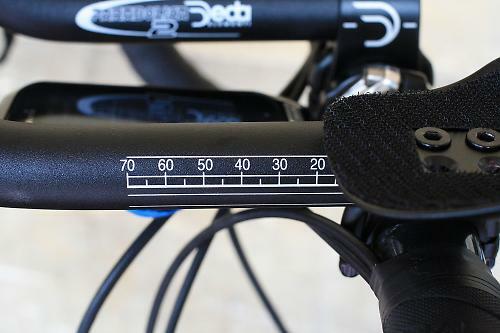 That's very useful when you're rolling along the flat, especially into a headwind. The S-bend bars allow a number of holds. With the middle of your forearm on the pad you can grip the bend, or if you slide your arms forward so you're almost resting on your elbows you can get a bit lower and grab the ends of the bars. There are a couple of positions in between too. I found the lowest position the best, although I'd like to see end plugs included with the bars to use if you're not fitting shifters, as that would make them more comfortable to hold. 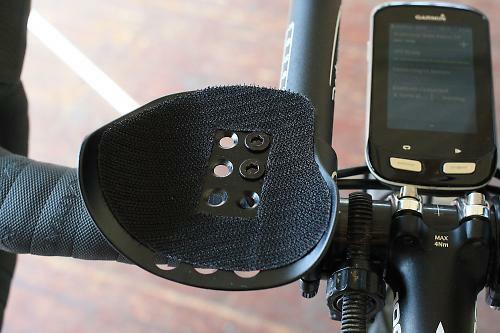 If you wanted a bit of extra comfort (and grip) you could always wrap them with bar tape and use the plugs from that. The Dedas sit above the bars but they're not particularly high and you'll likely be able to get an acceptable aero position on a road bike if you have a couple of spacers below the stem you can swap out. If you're contemplating a few time trials in the summer and you're not going to go the whole hog and buy a TT bike, fitting clip-on bars (and using them) is the single most effective change you can make to your bike, and an easy one too. The Dedas would be a good choice for that: they're cheap (less than £50 online) and they feel well made and sturdy in use. If the Due curve doesn't suit they're also available in Uno (a single bend at the end) and Zero (completely straight) configurations. Very well, a range of positions from a single bar. Well made, light, easy to fit. Shame you don't get end plugs. You can get these for £47 on Wiggle. It would help if you showed pictures of how they clip on. The Redshift Switch aeros have nice little clamps and attach with QRs, like axle skewers. For £47 they attach the conventional/simple way with two hex bolts. Wrapping with bar tape just adds weight, as as weight is carried by the pads. If fitting gear shifters, drill a hole if needed for the cable/wire to get to the inside. That additional 15g is preferable to your hands firing forward off the extensions every time you hit a bump or pot hole. Got Token ones which are similar for £32 but I don't think they will do bar-end shifters so easily. Got them for a few TTs and a different position. Pads are very comfy. does anyone know if these can be fitted to carbon handlebars? It depends on the carbon bars that your mounting them too rather than the clip-ons themselves, but often not. I know that 3T state that their mid-tier "Team" range carbon road bars will take clip-on aero bars, but not their high-tier "Ltd" range. Presumably that's because the higher-end ones are built to a lighter specification and won't withstand clamping outside of the stem clamp area. Personally I wouldn't risk it on any carbon bars.